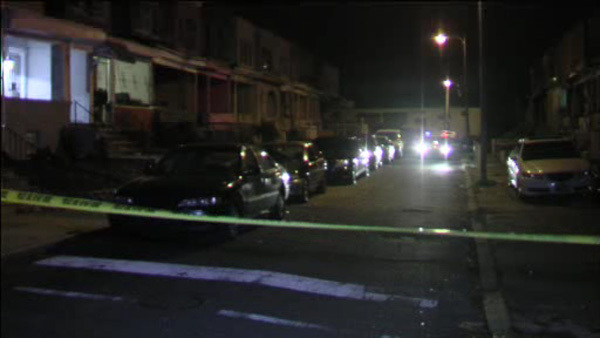 HUNTING PARK (WPVI) -- A shooting in the Hunting Park section of Philadelphia has left a young man in critical condition. Police were first notified of the shooting when a woman pulled into the Temple University Hospital Emergency Room around 3:00 a.m. Sunday with the victim suffering from gunshot wounds to the face, back, and right arm. Philadelphia and Temple police were called to the hospital. A man and woman who drove the victim to the hospital told police the 20-year-old male was shot in the 600 block of West Luray Street. Authorities say an AK-47 was found in the car that transported the victim to the hospital. Police are not sure if the weapon is involved. The man and woman have been taken in for questioning.